A tailored approach to each patient’s unique needs. At De Jongh Optometry, we understand that caring for your eyes requires a clear grasp of your expectations, concerns, individual vision requirements, and circumstances. The individual needs of each of our patients play a key role in how we design their eye care. Our optometrists are specialists in evaluating your unique symptoms, needs and vision solutions. Entering formal education requires your child’s eyes to be ‘right-for-school’. 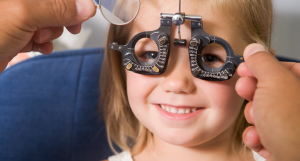 De Jongh Optometry understands the intricacies of treating young patients. Good visual skills will ensure they are able to comfortably perform visual tasks and track accurately across printed lines when reading. Unless there is an obvious need for an earlier examination, such as family or medical history, an eye turning inwards or outwards when the child is tired or poorly, eyes being pulled to small slits when focussing on objects, or unusual head and neck postures, the ideal age for a first routine eye examination is three years old. At this age, eye muscle abnormalities (strabismus), refractive errors (short- or long sightedness and astigmatism) and a so-called lazy eye (amblyopia) can be diagnosed and managed timeously. We work in close collaboration with ophthalmologists to ensure the best diagnosis, care and treatment regimens for our future generation of leaders. Give your child the gift of vision, and ensure they understand the importance of routine eye examinations from an early age. Intense exposure to electronic media used during both leisure and learning activities, combined with a long hours spent in class room education, places a unique strain on children’s vision during their school career. As their eyes are forced to focus and fixate on closer distances, stress develops in the focussing (accommodation) and alignment (convergence) systems of the eyes. Very often, complaints from our teen generation are discarded as parents lose sight of the impact clear, comfortable vision has on the learning ability of our children. In caring for teens, De Jongh Optometry carefully assesses their eye’s ability to stay focussed and comfortable, which in turn assists in good visual concentration and enhances optimal academic performance. The competitive level of sport during the teen era requires a flexible, elastic and accurately functioning visual system. For this reason, we offer a specialised Sports Vision Skills Development centre to assist our young generation with optimal sport vision performance. Often, we lose sight of just how much our professional performance depends on a perfectly functioning visual system. Headaches, eye pain and strain decrease our ability to sustain concentration and optimal performance during the long hours spent driving to work, focusing on computer screens and concentrating on fine detail in the workplace. Added to this, glare and brightly illuminated environments cause additional discomfort and tiredness, which leads to a loss of function. Blurry letters and hazy images are both signs of the excessive burden placed on our sense of sight. Very often, it is not a corrective lens, but a therapeutic lens, which can provide the soothing comfort you vision deserves. The professionals at De Jongh Optometry are experts on occupation related conditions and the appropriate corrective or therapeutic vision aids to alleviate associated strain and discomfort. When our kids are nearly grown up and independent, we receive a new lease on life and look forward to experiencing a little more than the daily school run. We may become concerned, however, when suddenly we aren’t able to read the menu at our favourite restaurant and our arms just do not seem long enough. Presbyopia is a normal part of the aging process of the lens inside the eye, and leads to a loss of the elastic changing focus ability of our eyes. Fortunately, there are many options available to correct this inconvenience. Usually, presbyopia is uncomplicated by eye disease and we simply have to reach for the correct strength pair of reading glasses. De Jongh Optometry also offers contact lens options, multifocal lenses and relaxing lens designs to assist you in an office environment. During our golden years, we experience the pleasure of our grandchildren reminding us of our youth. We may, however, find that the images and letters we were always able to decipher clearly seem to fade when reading them a bedtime story, or trying to decipher the sports score on TV. Aging of the vision system often requires a solution other than glasses, such as surgery or alternate medical treatments which can provide clearer focus and new lease on life. De Jongh Optometry collaborates with the best surgeons in the country to offer our patients the most advanced medical and surgical management of their eye disease, when appropriate. We also assist with routine aftercare, monitoring and advice after surgical or medical treatment. 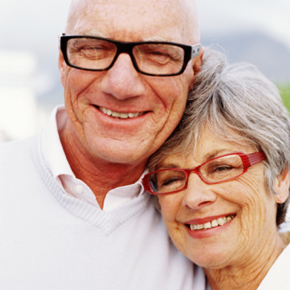 When surgery or spectacles can’t be used to improve impaired vision, magnifying aids can assist the mature generation to maintain their independence and enjoyment of retirement. Importantly, we believe that a few words of reassurance or encouragement are a powerful antidote to the stress and anxiety that often surrounds our vision.